One of the perennial concerns with ESL adult classes is their multilevel nature. Even though the class may be called an “intermediate listening class,” any ESL instructor knows that some of the students will be at the beginning level and others at the advanced level. Some will actually be there to learn listening skills (which also by nature include speaking skills). Other students are there for literacy skills, or to improve reading and writing skills for college level work, and signed up for the class because it was the only ESL class available. For the same reasons, students at the very early stages of English learning also enrolled. The students also have varying degrees of proficiency within their English skills: some students are strong in conversational skills, for example, at near-native proficiency, while it is their reading and writing skills that are “intermediate.” With such a diverse group, how does the instructor even begin to teach? Briefly, this means the instruction begins with the student and what the student can learn and needs to learn, his or her level of development. This is in opposition to what the teacher wants to teach or what the curriculum guidelines states she should teach. In the example above, if the instructor follows curriculum guidelines for the “intermediate ESL student” because, after all, this is an “intermediate level” class, she will lose most of the students, one way or another. Engaging topics everyone can respond to in some way is of extreme importance. For example, students may all be interested in topics of contemporary American culture in general, including current movies, for example, while be less interested in discussing the current election in particular. If you then incorporate the topic of movies into the curriculum, students can engage with it in various degrees, with students at beginning level making brief comments on a movie they particularly enjoyed, while more advanced students can engage in more challenging spoken and written analysis of a particular movie genre. Virtually everyone will be able to contribute to a conversation on family life, if only by listening and making brief comments on their own families. More advanced students will be able to discuss and write about contemporary family structure in its diverse permeations or do comparison and contrast analysis of family life in their own countries and the U.S. Peer tutoring is a powerful method of learning for both the peer learner and tutor. Students of varying ability can work on the same tasks of vocabulary instruction or computer skills, for example, with the stronger students taking the lead. (In the matter of computer skills, the student with the better language skills may not have the best computer skills.) Both students can benefit from this—peers often have a better ability to communicate with each other as they are closer in level and can have more insight into confusing points of instruction. More advanced students also benefit as the best way to learn something is often to teach it. All English learners (and native speakers can also be called English learners) can benefit from word analysis and vocabulary study. From a list of words related to a reading or film/TV clip, for example, the beginning and intermediate students might still be learning the basic meaning and spelling of these words. However, more advanced students—again, even native speakers—can benefit from study of origin of the words and their various connotations and uses. Almost all students, of any level of English acquisition, can benefit from pronunciation work. While more beginning students can focus on the basic sound system of English, its vowels and consonants, more advanced students can work on issues of stress and intonation, as well as specific individual points of discrete sounds that continue to trouble them. All students can respond to a basic writing prompt according to their level of ability. Because the prompt is simple doesn’t mean that the response has to be. For example, by just pulling up on the overhead a famous picture, such as Van Gough’s “Starry Night,” the beginning students can respond in a sentence or two of description while the more advanced students can do more complex description and analysis of the picture’s meaning, perhaps even doing research on the painter and the historic context. Everyone will respond to engaging news, TV clips, and pieces of music than can be the starting point for discussion and writing topics in a way that not everyone can to a written text, which by nature requires a specific level of reading proficiency. But any student can pick up meaning from a contemporary music video, for example, or a segment from a popular TV series and make short comments in conversations as well as write on the topic. In an example from above, after the discussion about family life, the beginning level students can be expected to write a sentence or two while the more advanced could engage in journal writing or even a complete, cited essay with research on the topic of family life. Incorporate all of the language skills in as many activities as possible. While keeping students in mixed groups is usually preferable, moving students into separate groups by level is sometimes preferable, especially when dealing with issues of grammar. For example, advanced students will already have mastered issues of the basic tenses, often, and are ready for study of more advanced issues of passive voice and the conditional that cannot really be understood without the control of basic tenses, which the beginning students can work on. There’s no reason to feel lost in a multilevel ESL classroom. 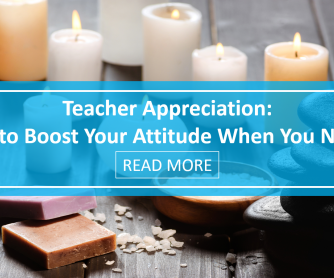 With some flexibility and varied groupings, the instructor can implement a multi-textured curriculum that will appeal to all levels. 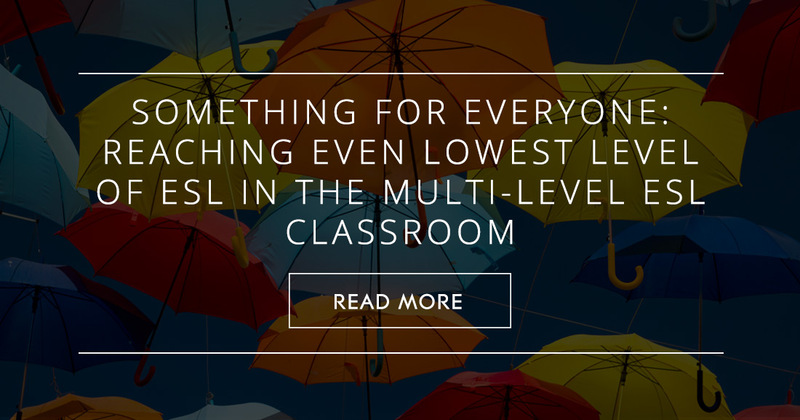 How do you address multilevel ESL classrooms?